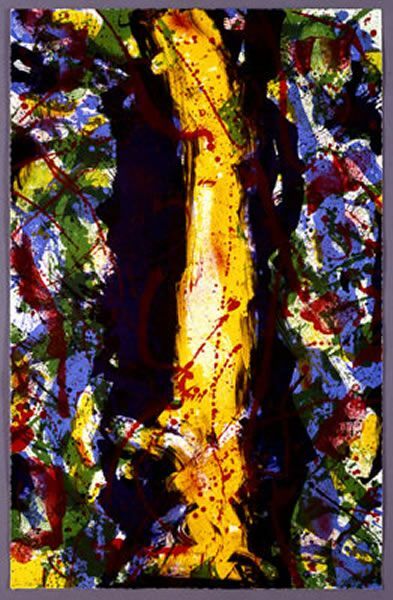 Sam Francis was born in 1923 in San Mateo, California, and became an icon within the realm of expressionism during the second wave of expressionist artists that arrived during the 1950s. 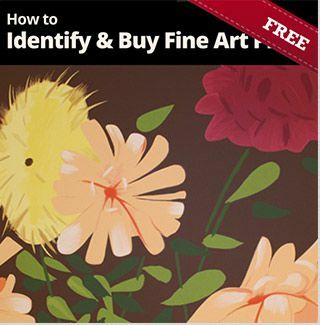 Along with many other abstract expression artists, Francis would help define a new way of creating modern art that is still in use and copied today by new artists all around the world, though predominately within Japan and Europe. Francis started out by being enlisted in the United States Air Force during World War II, though an injury led him to eventually leave the military and be hospitalized for quite some time. 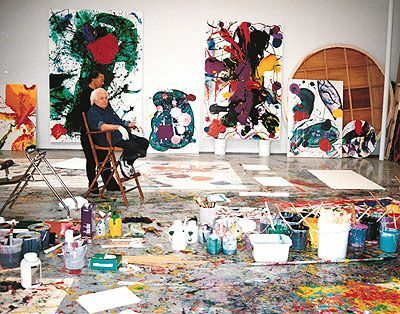 During this time, fellow artist David Park, who inspired him to start painting more during his spare time, visited Sam Francis. 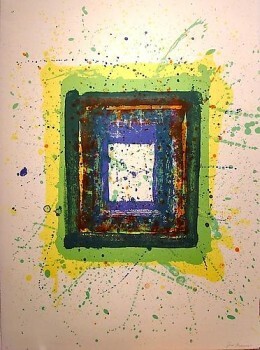 After his hospitalization, Francis graduated from college with a degree in art, but he also studied subjects like medicine and botany, at the University of California in Berkeley. After Berkeley, he spent a decade (9150-60) living in Europe. His first exhibit would be in 1952 in Paris, wherein he learned the unique and very influential art known as Tachisme, or abstract painting, which became very popular during the 1940s and 1950s in France. 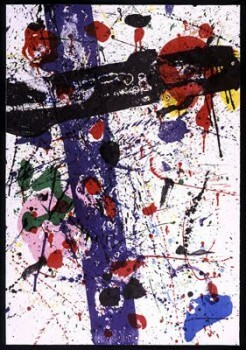 This influence started to give Sam Francis confidence in his own work, which started to become original and unique on its own, having left behind the traditional means of line work within art and going for art that reflected memories, mood, and stark differences in color and movement. 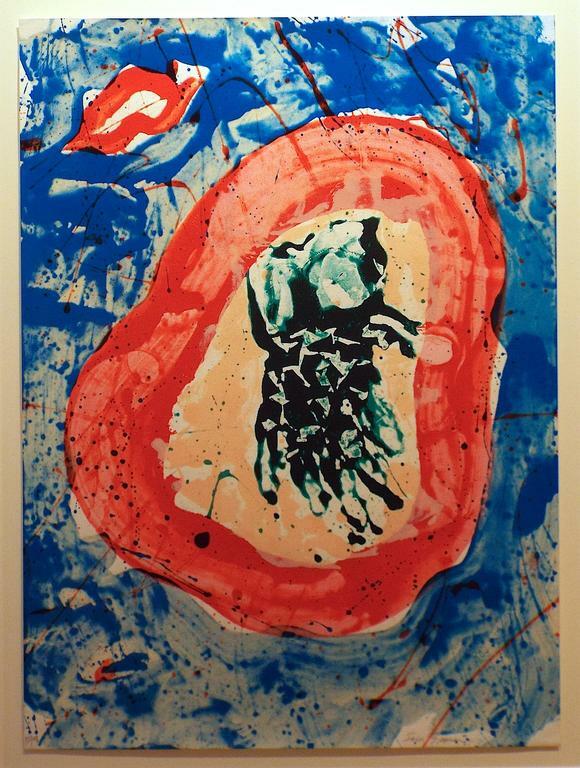 Not only did the Parisian styling of expressionism help Sam Francis find his particular niche in the artistic community, but there were also heavy influences of the minimalism that Japanese culture and Zen Buddhism brought to the post-war era. This is especially true when he started to spend more of his time in Japan, in particular Tokyo. 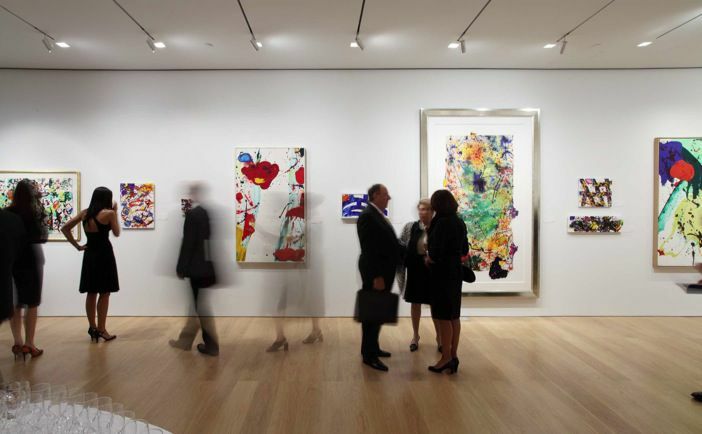 It was also during this time, within the early 1970s, that Sam Francis also started to keep careful track of his dreams because of an analysis from Dr. James Kirsch, which began to morph his iconic artistry into huge canvas paintings of grid-style lines and carefully placed colors. 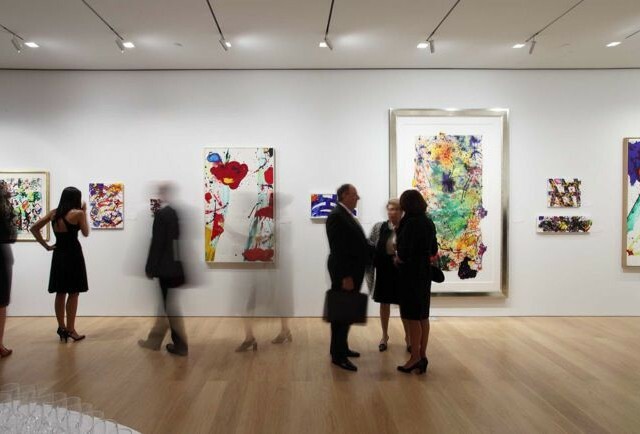 Throughout the 1970s and into the 1980s, Sam Francis started to change his focus on art once again. While his expressionist paintings were already well sought after, he also started to partake in printmaking, creating things such as lithographs, etchings, and monotypes while he was living in Santa Monica, California. 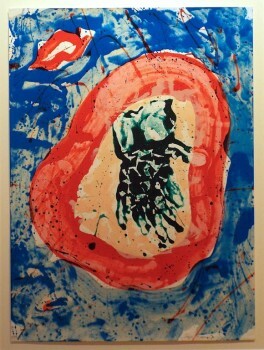 Eventually, Sam Francis created his own printmaking studio and company called The Lapis Press, allowing him to delve deeper into the unique styling that printmaking brought to his sense of expressionism and use of lines, color, and text. 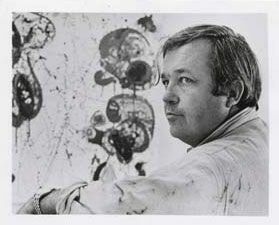 Both his paintings and printmaking are highly regarded in the art community and his legacy lives on in one of his sons, who also became a well-known painter in his own right.